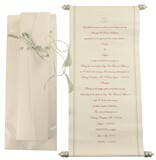 S1096, White Color, Shimmery Finish Paper, Scroll Invitations, Jewish Invitations. Long Scroll. Box has silver ribbon while the scroll has silver bars and is tied with silver tassel. Envelope is plain. 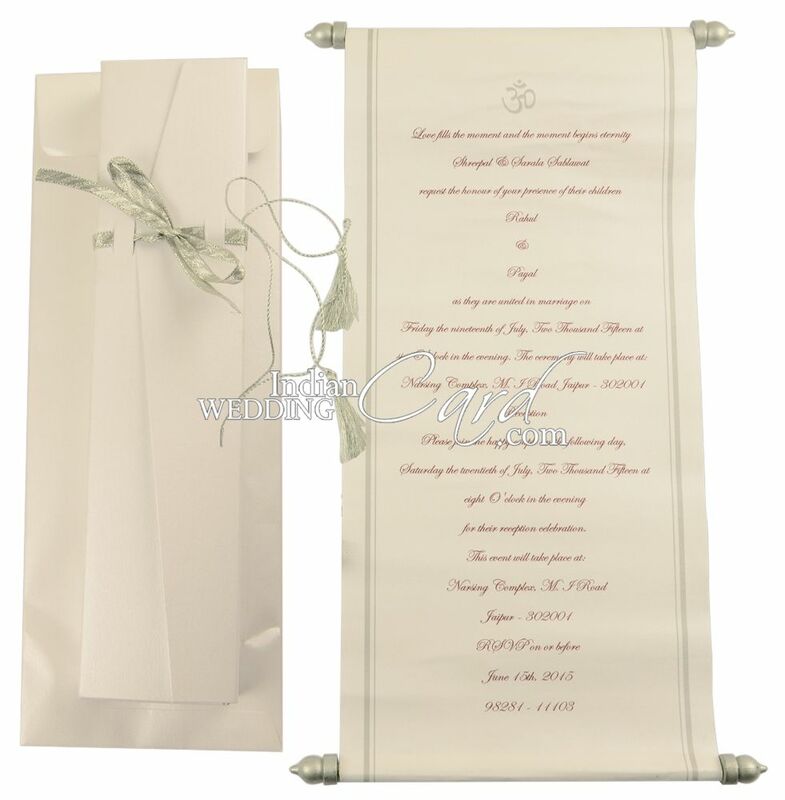 White shimmer paper for scroll n envelope (both 120gsm) & Box (250gs). Silk screen printing of your choice.